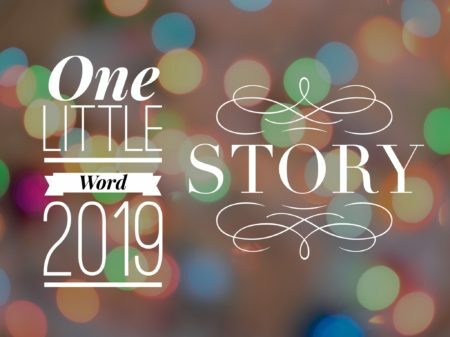 It’s the last Tuesday of the month and that means it’s time to check in on how I am doing with my 2019 One Little Word: Story. I have actually felt pretty connected to my word this month. I’ve used it as a litmus test for making decisions about things I want to do or not do. What I mean is, when I’m uncertain about something I check in with myself and say, do you want this to be part of your story? It’s a good way to frame a decision and it’s working well for me so far. The other thing I’ve been doing a lot of is journaling about my word. Today I thought I’d share a cleaned up version of one of my journal entries. I think it’s a perfect one for my first month with this word since it’s the story of how I got my name. And isn’t that really the first story of my life? In 1965 when I was born there was no way to know in advance if I would be a boy or a girl. My mom, with two sons already, prepared herself mentally for a third boy and chose Peter Jonathan, PJ for short. At the same time, though she dared not let herself hope she’d actually have a daughter, my mom chose the name Caroline for a girl. So. Here I am. A girl. And my name is not Caroline. You see, I was rather small at birth, weighing only 6 lbs 6 oz. I expect I seemed extra small since the baby before me, my brother Donald, weighed in at a hefty 9 lbs 11 oz. As the story goes, my mother took one look at me, a tiny red faced babe, and decided the name Caroline was just too big for such a wee thing. (As an adult I pointed out to her that surely she knew I would get bigger but apparently that just didn’t occur to her at the time.) So Caroline was scrapped and it was shortened to Carole. With an E, just like Carole Lombard, an actress my mother had always admired. My middle name became Anne, after my mother’s dear friend Anne Sweeney. She also became my godmother. Here comes the truly ironic part. My mother’s maiden name was Looke. Yep. With an E on the End. The family surname wasn’t always spelled that way but when my grandfather and great grandfather moved from Jonesport, Maine to Brockton, Massachusetts for work they decided, on the train ride south, that adding an E to the End of Look would make it look . . . fancy. So they just did it. Nothing official, they just started signing their names as Looke instead of Look. My mother always rued that E on the End, complaining that she constantly had to spell her name and add that silly E.
My mother, who spent her life up until she got married having to remind people about the E on the End of Looke then saddled her only daughter with the same exact burden. And a permanent one at that since it’s not a name that would change when I got married. It’s all good, though. I actually love my name. And that E on the End? It definitely makes me fancy. Great name story. You were lucky in that your mom at least gave thought to a girl’s name. My parents only picked a boy’s name so when I arrived they just picked at random and named me kind of after my mom (changed a couple of letters). Fun story! Like Bonny, I completely forgot about the last Tuesday OLW check-in…but my word is Strength and my current cold has sapped all my strength – lol. Wonderful story about your name! Good Morning Carole – with an “e” from Kelli with an “i”. And, I especially love your thought process of “do I want this to be part of my story” – that really is lovely! Love your Name Story…I have one too. My mom and dad wanted to call me Kathy, but my full name would be Kathleen. My grandpa said if they named me Kathleen, that is all he would call me. So, my official name is Kathy, just plain Kathy. Which I love. Ah…family stories are so much fun. Our names mean a lot to us. Whatever bonus or burden they bring in life, they represent who we are to the world. My sister has a name that was definitely uncommon in 1965 when she, too, was born. It meant having to repeat it and spell it almost everywhere she went. She groused about it sometimes. When her first was born she was given a reasonably common name with an unusual spelling. When I pointed that out to her, I realized that my sister agreed, but noted that it was a nod to the time she had lived in France which was very important to her. We never spoke of it again, but I do think of it sometimes when I’m addressing a card to my niece. I, too, have a name story, but mine is my middle (now last) name. I was supposed to be Robert Keith, after my grandfather, if were a boy & Judith Ann, if I were a girl. I think every other Judy I have ever met has Ann as a middle name, but I digress. As my mom was leaving the house to go to the hospital, my grandma stuck her head out the door & called “If it’s a girl, will you still call her Keith?’ And so, Keith became my middle name. Family names are not so uncommon as middle names In NE, but since it was a boy’s name as well it was a little weird. But I never really minded. Flash forward 6 decades & I was getting a divorce. Didn’t want to keep the ex’s name. Didn’t really feel all that connected to my father’s name (we weren’t close). But Keith? Yes! So I just dropped my married name & kept the first two names, names that I have always had. Ha, I love that the name is fancy! I am named after my great-great grandmother [whose grave I have been able to visit several times] and my dad’s mother picked my middle name Leigh cause she like the way it went with Lydia. I HATED my name growing up-I was called Linda way too many times! I have since grown to appreciate it both for its history and because it is unique-well maybe even a little fancy. Here’s a tidbit-Carole Lombard and Clark Gable stayed in one of the very old mansion in Buckhead when they came to Atlanta for the Gone with the Wind premier. If memory serves me correctly the found of Web MD owned the house in recent years. Look forward to sharing more stories this year. I love your word, and this story, Carole, says Rebecca Anne, with an E! My name story includes my grandmother telling my mother that Rebecca would always be shortened to Becky, and she had a mule named Beck, so that was a poor name choice. It’s worked well for me since no one else I have ever known has had a mule named Beck. 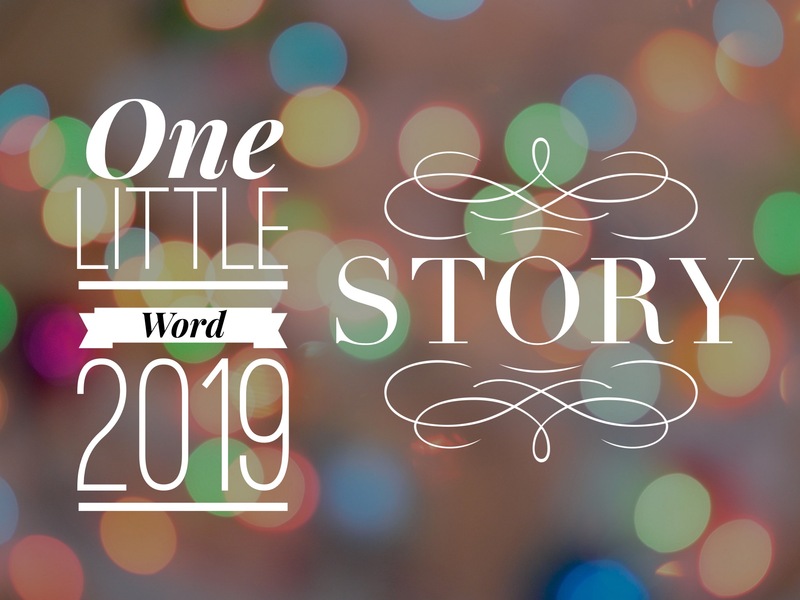 See all the stories you inspired by this post? What a great story! And an excellent word. This is such a great story! When I think about E’s at the end of a name, I always think of Anne of Green Gables — Anne with an E, she always said. In any case, as a Sarah with an H, I sympathize with you about always having to spell it out. I read a piece by David Brooks yesterday and he suggested that sharing the stories about our names is a wonderful ice breaker. Thank you for sharing yours! I always wonder how our Sara (No H) feels about the spelling of her name. And my husband Marc-with-a-C … I kid you not, his sisters sometimes spell his name with a K.
Oh my, that’s a GREAT story… from Vicki with an I (not Y, not IE, not KKI nor CCI… it’s amazing how many ways people can screw up a relatively “simple” name!). My mother didn’t mind her name, but she did take exception to how my grandmother spelled it: Margery. Mom thought that Marjorie was much more elegant, so she just changed it and started writing it that way. All was fine and dandy (getting married & changing her surname, having five children, getting divorced) until she needed a passport! Then the flags were raised and she had to have it legally changed! !